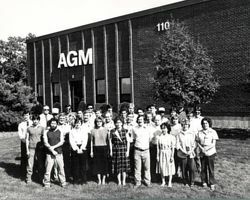 AGM is proud of its long history as an established manufacturer of quality products. Its brand and reputation have been built over many years by a dedicated staff that prides itself in providing the highest level of customer service and product quality. AGM Industries, Inc. was founded in 1961 by Harry Graham (see on left picture), inventor of the Capacitor Discharge (CD), Stored Energy, Stud Welding Process. To assure a quality line of fasteners for use with the welding systems, AGM began to manufacture its own fasteners in the early 1960’s. Mr. Graham’s son, Bob, took over management of the company in the mid ‘60s. 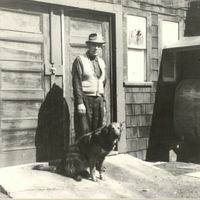 In June of 1991 Bob Graham sold his interests to Mr. Tom Karjama, and in 1997, AGM purchased and relocated to 16 Jonathan Drive in Brockton, Massachusetts – the property on which it now resides. Under Mr. Karjama’s ownership, the business grew and was able to take advantage of products, services and markets offered by his related companies, particularly Continental StudWelding Ltd. (now Jordahl Canada) based in Brampton, Ontario, Canada. Under the ownership of Mr. Karjama, Ken Reale and Paula Audette served as the management team from 1993 to 2016. Ken Reale retired in 2018. Paula Audette has taken over the role as President and is leading the business to continued success. 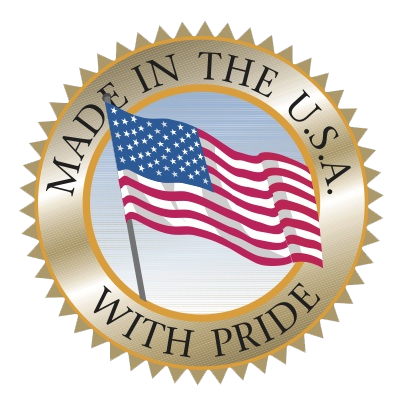 AGM continues to develop new initiatives and remains committed to marketing quality products, manufactured in the USA. If You Need Insulation Fastener Solutions or Equipment…We Can Help! The AGM line of insulation fasteners is the industry’s benchmark for quality and ease of use. This comprehensive product line provides a single source for the installer and comprises weld pins, cupped head pins, self-adhering and adhesive based hangers, Tactoo adhesive, drop through nails, resistance pins, lacing anchors and accessories, j hooks and a variety of self-locking washers & caps.